Long-time Aliventures readers might remember that the first half of 2012 was a little hectic for me. I’d just launched my first novel, Lycopolis, and started Writers’ Huddle … and I had five months to turn in the manuscript of Publishing E-Books for Dummies. And on the very day I handed in the final chapter of the Publishing E-Books draft … I found out I was pregnant with Kitty. Which was, of course, lovely news! But the first-trimester exhaustion hit me like a truck (thankfully I got off easy on morning sickness) … and all my great plans for promoting Lycopolis came to nothing. But now I’m starting to get back into marketing. Of course, a lot has changed since early 2012, and techniques that were popular then (like making a book free, getting it high in the charts then switching it back to paid-for) don’t work so well. 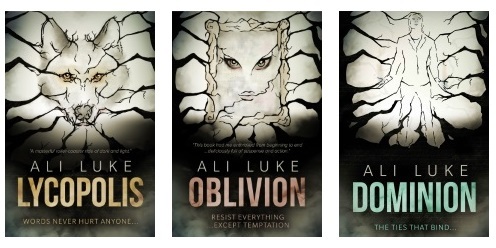 Here are the five books I’ve been digging into … and what I thought of them. Note: These aren’t in any particular order. I’ve given links to Amazon as that’s where I shop, but most of these will be available through other ebook stores too. If you’re a member of Kindle Unlimited (KU), then several are available for free. 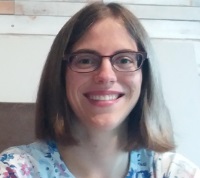 I’ve been a fan of Joanna’s blog for many years now, and still remember her launching her first novel, Pentecost (now Stones of Fire), not long before I launched Lycopolis. Her blog, The Creative Penn, is packed with excellent advice for authors, and of course I expected the same from How to Market a Book. I’m pleased to say I wasn’t disappointed. 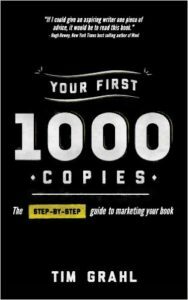 🙂 This book is an excellent big-picture overview for new authors. If you don’t know where to begin, or if you’ve read a few bits and pieces about marketing, it’ll help you put it all together. As usual, Joanna writes in a straightforward, friendly but no-nonsense style, packed with her usual infectious energy. Since September 2014, there have been a few significant changes in the world of book marketing: for instance, there’s no mention in How to Market a Book of Kindle Countdown Deals. This is a purely cosmetic niggle – but I do feel the cover design is a bit cut-and-paste. (Joanna’s novels have much more polished covers.) Obviously that doesn’t affect the book in any way – and don’t let it put you off buying! This is the follow-up to David’s Let’s Get Digital, and, like his earlier book (and his blog), it’s very well backed by detailed research. David is particularly strong on how the Amazon algorithms work, and how to get those to kick in to help you promote your book. 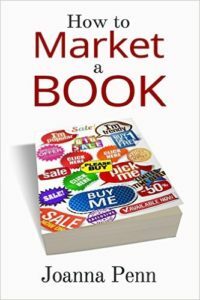 Like Joanna does in How to Market a Book, he also offers a good overview of the different areas of marketing and how to put things together. Since this is a companion volume to Let’s Get Digital, it’s worth reading that first, especially if you’re still at the stage of drafting your book or looking into self-publishing. This book was published over three years ago now, in May 2013. While the core content is all solid, there’s no mention of recent developments (like Kindle Unlimited or Kindle Countdown Deals). 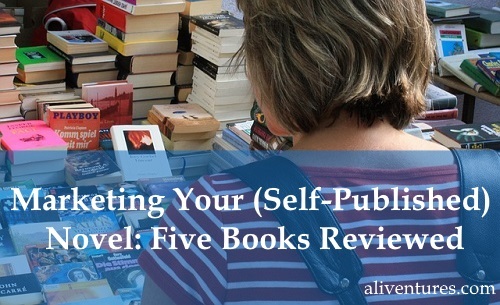 While this is a tried-and-tested marketing system, and I certainly think it can work, I’m not convinced it’s the only system for marketing fiction. In particular, it’s a tricky one to use if you don’t have a lot of content to give away. If you’re a non-fiction writer, though, you’ll probably find this book a very handy read. There’s certainly lots of solid advice in here that’s standard in the world of topic-specific blogging (as opposed to personal blogging). From a novelist’s perspective, this book isn’t as on topic as the others: most of the examples are drawn from the world of non-fiction (and most of the author’s experience is with helping non-fiction authors). While there are obviously overlaps, I feel that marketing fiction is really quite different from marketing non-fiction – and I get a bit frustrated by advice that seems to conflate the two. 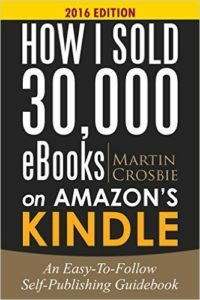 The thing I loved most about Martin Crosbie’s book was that he’s very clear you don’t have to take the all-too-common advice of “write lots of books” in order to successfully market. 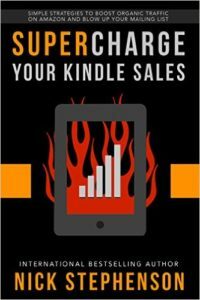 This one was also bang up to date with lots of great, in-depth advice on marketing techniques – for instance, Martin explains how to use Kindle Countdown Deals in conjunction with paid advertising from sites like BookBub. Martin is particularly good at (a) specific tactics and (b) explaining what methods no longer work (or work so well) as in the past, and that makes this book an excellent read in conjunction with Joanna or David’s bigger-picture overviews. Just one – Martin writes in really long paragraphs! While I’m used to this in academic material, the world of blogging has spoiled me a bit. I felt like a lot of the paragraphs could’ve been broken up to make for an easier reading experience. Apart from that, though, this was an easy, engaging and very actionable read: Martin includes “Homework” actions at the end of each chapter, plus a recap of what you should be doing based on the previous chapter. Nick Stephenson seems to be one of the rising stars of self-publishing, and I keep seeing his name pop up (he’s run webinars for Joanna Penn’s audience, for instance). This is a short, specific read: nothing wrong with that, but if you’re looking for an overview of different methods, or for a discussion of traffic-building techniques like advertising, then buy one of the other books on this list as well as this one. Given that the book was published in 2014, and doesn’t appear to have been updated since then, the specifics on Amazon’s algorithms could be slightly outdated. For instance, there’s no mention of Kindle Unlimited and of any impact this might have on the algorithms. Whew! If you’re looking into marketing your novel (or non-fiction book), you could absolutely buy all of these like I did – I think they’re all worth a read. You’ll find plenty of points of solid, common advice between them … but also some different nuances and takes on things. 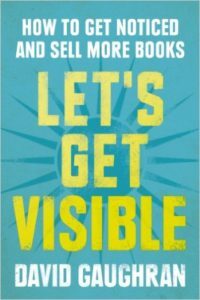 If you want a slightly more manageable reading list, go with Joanna Penn’s How to Market a Book or David Gaughran’s Let’s Get Visible for a clear and comprehensive big-picture look at strategies, plus Martin Crossbie’s tactics-heavy How I Sold 30,000 eBooks on Amazon’s Kindle. Have you read any of these – or is there a different book that you’d recommend? Leave a comment below to let me know your thoughts. Thanks so much for including me in this fine list of books Ali, and I truly appreciate the comments on paragraph length. I’ll keep that in mind when I update next year. These are excellent resources, Ali! Thanks so much for sharing this useful and relevant information. Also, thanks for the niggles in keeping it pro & con. Keep up the great work. Your eBooks For Dummies was invaluable for me. I highly recommend it to all self-publishers and it’s so nice to see you back to regular blogging! I’ve read Grahl’s Your First 1000 Copies and while most of it served as a reminder, there were a few valuable nuggets. His chapter on selling and being passionate about the book because then your reader’s will pick up on that energy was my favorite… I’ll add the other books to my reading list, thanks! For me, reminders are always handy (I don’t always realise what I’ve forgotten until something reminds me…)! Hope you enjoy the other books on the list! I like how you say what you liked about each book and how in the case of Nick Stephenson’s book, it could be somewhat outdated. I like that reflection on your part. I’ve been wanting to read David Gaughran’s books and now you’ve given me a new incentive. I know that as writers we’re supposed to produce a lot of books to increase sales. The second book sells the first book, etc. What I’ve found is that the more books I write, the more the first book sells, even though it’s outdated and I’m in the process of updating it and will release a new version. This year I’m releasing three books. It’s a lot of work and time will tell how producing three books in one year will affect sales. BTW: You have a great blog. I’m so glad I checked it out. Thanks Frances! (And thanks for tweeting the post, too. much appreciated. :-)) I thought all these books were well worth the money — and the time spent reading — but I feel reviews should point out any potential negatives as well as the good stuff.